Friday night was a beautiful day. The weather was perfect for an evening at Bluesfest. First thing we did when we arrived to Lebreton Flats was head over to the River stage to catch Loon Choir. The Ottawa group has been making waves in the city, especially within the last year. I've seen them perform a handful of times, and they are great. I was lucky enough to interview the band for a piece I wrote for Couch Assassin last Winter. My main reason for attending Bluesfest that night was to check out Matthew Good. Those who follow my blog know how much I love Matt Good. I've seen him live probably close to 8 times (so far...), and his music has played a huge role in my life. One of his live shows even inspired me to get a huge tattoo last summer. His setlist was almost exactly the same as his performance at Bluesfest in 2010 but I didn't care. One song I did not expect to hear was "Non Populous" from his last album "Lights of Endangered Species". Such a beautiful song, and it lasts over 8 minutes. He also played two new songs that he released on his website last May. His new album "Arrows of Desire" will be released on September 24th. I can't wait! You can check out my French review of the show here. 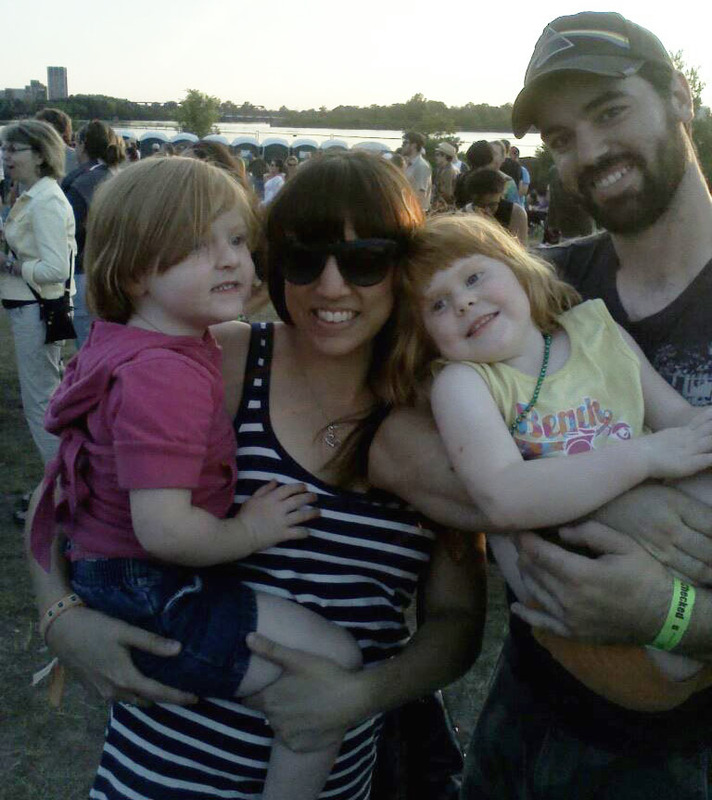 After Matt Good, my partner and I met up with a friend of mine and her two adorable kids. We walked around Bluesfest, and made our way to the River Stage, where the little one danced to the music of TJ Wheeler and Friends. Adorable! Great Big Sea was the big headliner of the evening. However, I wasn't interested in seeing them play so we went to the Barney Danson Theatre to check out Trampled Under Foot. I'm so happy we did. These three siblings are from Kansas City, and play straight up blues and rock music. They are phenomenal! Seriously... The sister, who plays bass and guitar, has an amazing voice and great stage presence. The two brothers (one plays guitar, the other the drums) are also talented as well. I really love the idea of sibblings playing music together. Also, their band name is based on a Led Zeppelin song. How badass is that! Check them out below.